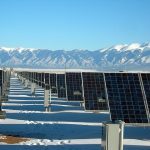 China's National Energy Administration (NEA) announced to receive additional capacity target for PV projects for 2016, filed by provinces, region, or municipality by up to 1GW each, in order to cope with surge in such projects as a result of which some 5GW filed projects will not be entitled to the government’s feed-in tariff (FIT) subsidies. In the year, prospective investors have rushed to file PV projects with local governments, in order to secure subsidy which is allocated on a FBF (first built first) principle. As a result, the total volume of filed projects had exceeded the target level by more than 5GW by November. Aware of the gravity of the problem, the NEA issued a “specially urgent” notice on the evening of Dec. 22 allowing provinces, along with autonomous regions and municipalities under the direct jurisdiction of the central government to raise their 2016 target for PV projects by up to 1GW each. Provinces with solar generation curtailment rates higher than 5% will be excluded from the volume increase, though. 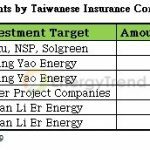 The increased target volume, however, will be deducted from their target for 2017, with those adds target that exceeding 500MW be deprived of the 2017 FIT subsidy entirely. The additional target will be allocated via bidding, whose participants must connecte their facilities to the grid by Dec. 31, 2016, or have already broken ground on their projects and will connect the system to the grid by June 30, 2017. The bidding will take place in the form of price competition, or general evaluation, in which electricity rates will score up to 30%. Municipal governments must submit the results of the biddings to the NEA by Dec. 31, 2016. In its notice, the NEA grants Heilongjiang Province and Hubei Province extra target of 200MW each as an incentive, which must be allocated via bidding, as well. Except winners of the biddings, other extra filed projects failing to win out will be denied subsidies granted by the National Renewable Energy Development Fund, according to the notice. Municipal governments will have to cope with the subsidy problem by themselves. EnergyTrend analysts note that the new solution is a draw on future accounts, an expedient arrangement at the expense of the 2017 target. 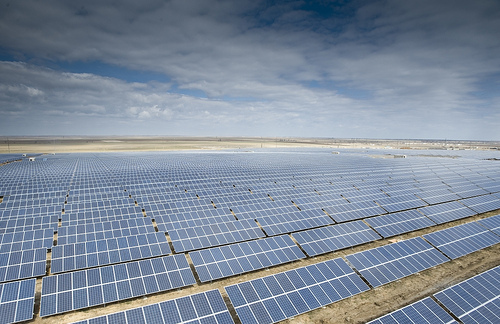 As of June 30 this year, China's total grid-connected PV capacities had topped 60GW. The amount is expected to surpass 90GW by June 30, 2017, taking into account the original 18.1GW target for 2016, 5.6GW target for poverty-alleviation PV projects, and the newly, possibly added 5GW for 2016, on top of distributed solar projects not covered by target-based volume. EnergyTrend analysts point out that despite the effect of the additional capacity on 2017, investors will keep on installing new projects, some before the Chinese Lunar New Year holiday. The rush for installation will continue well into the first half of 2017, though at scale much more moderate than in 2016. Consequently, supply-chain prices on the Chinese market, from polysilicon to modules, will remain flat around the Lunar New Year holiday.